She noted plant traditions for healing. We have a huge tradition of medicinal plants. We are great believers that you can cure yourself by having a good diet and a good supply of medicinal plants. In 2009, showed that peach and plum extracts suppressed breast cancer cells cultured in Petri dishes. For this one, a lot of mice were sacrificed to find the answers. They implanted breast cancer cells into the skin of mice through a xenograft. After a week, they fed the mice varying doses of peach polyphenols, compounds that help plants ward off the damaging effects of the sun’s ultraviolet radiation. There are several studies showing that these compounds act as antioxidants and can therefore protect DNA against damage that can produce cancer. 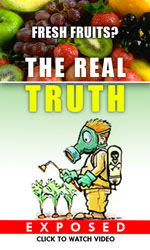 The “internal sunscreen” effect of fresh fruits and vegetables (like grapes) have been noted time and again. Noratto and colleagues wanted to see if these same compounds would make cancer cells commit suicide. After 12 days they saw that mice fed with high levels of polyphenols had tumors that grew less and without much of the blood vessel formation that can help cancer cells spread to other parts of the body. The tumors in those mice also had less evidence of enzymes involved in the spread and invasion of cancer. If scaled up to a 132-pound person, the same dose could be supplied by two to three peaches a day or a dietary supplement of peach polyphenol extract powder. Be the first to comment on "Peaches for Prevention and Halting Cancer Growth"